This spring, some of the world’s best male cyclists will land in Long Beach to start the first stage of the Amgen Tour of California on Sunday, May 13, 2018, tour owner and presenter AEG announced today. Considered America’s premier cycling stage race, the seven-day sporting event is a part of the Union Cycliste Internationale (UCI) World Tour calendar, among other major international stops including the Tour de France. 2018 will mark the 13th edition and include over 600 miles of highways, roadways and coastlines from Long Beach to Sacramento May 13 through May 19. Ten other California cities will host through the finish. This will be the first time the tour has started in Long Beach (the city served as the 2007 tour’s finish) and only the third time the riders have raced from South to North. Long Beach will set the stage for many tour fans to interact with their favorite teams prior to the start, while many will follow the tour through the various stages all the way to the finish. Coinciding with the tour will be the Amgen Tour of California Women’s Race empowered with SRAM. All three stages will take place in Northern California May 17-19 and will run concurrently with the men’s stages. This is the 11th consecutive year the event has featured an international platform for both men’s and women’s racing, according to the release. Last May, George Bennett of New Zealand rode to a tour victory at the finish in Pasadena, and Olympic gold medal winner Anna van der Breggen of the Netherlands won the women’s four-stage tour. Photos courtesy of the Amgen Tour of California. For the full route and more information on the host cities, visit the webpage here. A race partner since its inception, title sponsor Amgen launched Breakaway from Cancer in 2005, a national initiative to raise awareness of the resources available to people affected by cancer. Learn more here. 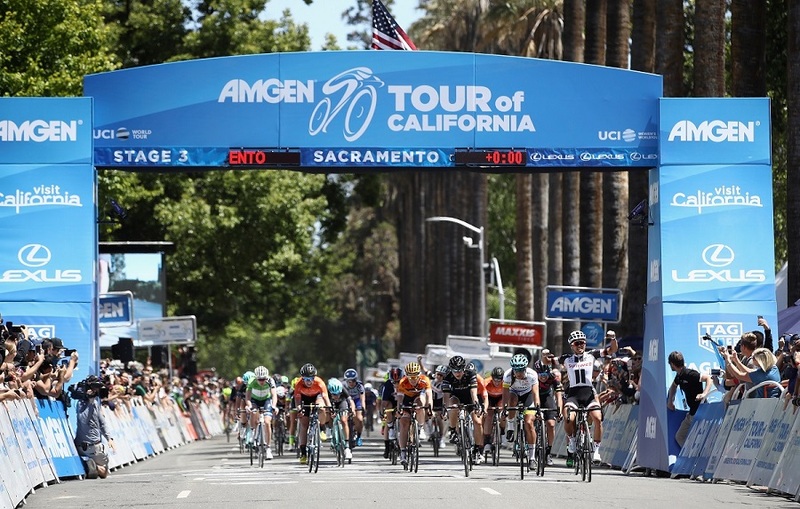 For more information on the Amgen Tour of California visit the website here.